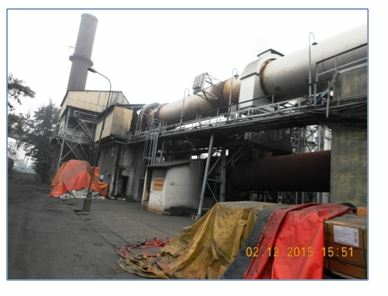 Haldia Industrial Growth Centre was developed in 1977 in the Purba Midnapur District of West Bengal. It is developed in a linear stretch with railway line running parallel to the road. 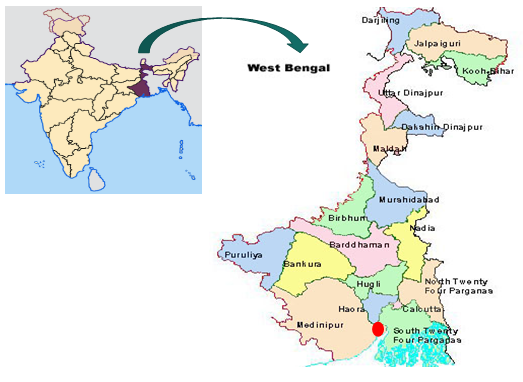 Haldia also has a major port located approximately 145 kilometers southwest of Calcutta near the transition of the Hooghly River to Bay of Bengal. Haldia is one of the industrial hubs of West Bengal with prominent industrial activity based on chemicals, petrochemicals etc. There are good educational institutions in Haldia covering the fields of engineering, law, medical and maritime studies. 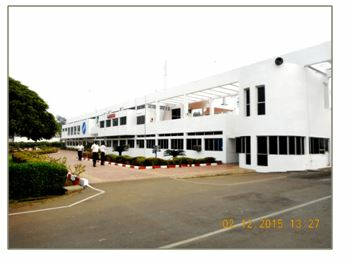 Haldia also has the "Central Institute of Plastic Engineering and Technology" (CIPET) that caters to the need of plastic and polymer industries. Haldia is well-connected with the major cities. 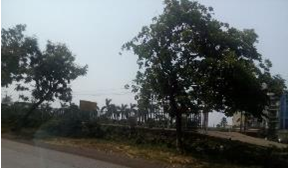 It is connected to NH-6 (part of Golden Quadrilateral which connects Gujarat to West Bengal; connection to NH-6 at Kolaghat) by NH-41, a toll-road built as part of port connectivity projects. 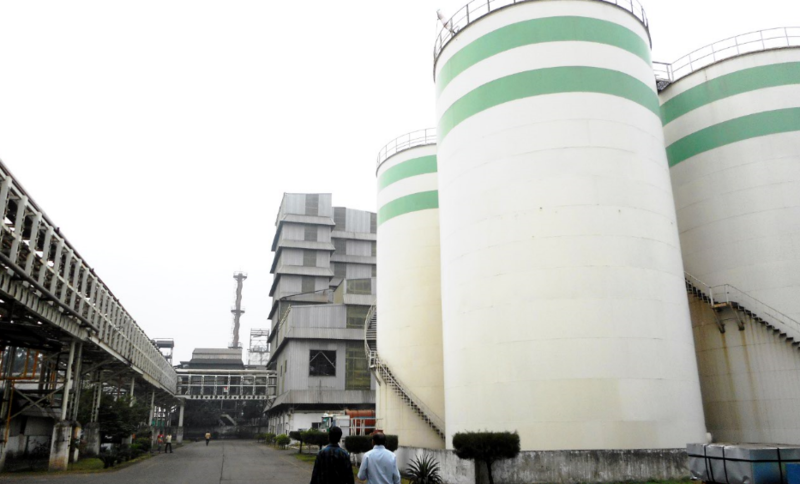 The commute time from Kolkata to Haldia Industrial Growth Centre is 2.5 - 3 hours. There is a proposal to build up a bridge connecting Raichak with Kukrahati which will improve connectivity with Kolkata and reduce the travel time substantially. The Growth Centre is in a linear stretch along the main road with four operational units. Haldia Growth Centre is connected with broad gauge fully electrified Howrah-Haldia track of South-Eastern Railways. Also there is a railway station - 'Bandar' located just opposite the Growth Centre. Indian Railways propose to lay a new line from Sealdah - Haldia which will be 70 km shorter than Howrah - Haldia track. 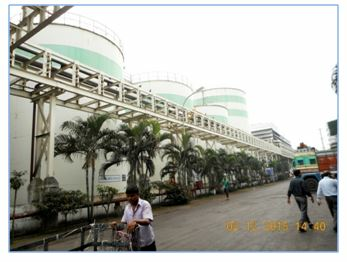 Haldia Growth Centre is located just next to Haldia Port. The transport through waterways from the Haldia Growth Centre is through the jetty located at Kukrahati to Raichauk. The Netaji Subhash Chandra Bose International Airport, Kolkata is the closest airport from Haldia. Available road transport from the airport to the port city provides an easy means of communication in spite of the distance. Haldia Development Authority has identified a location for medium size airport. Haldia Development Authority which handling the maintenance of Haldia Growth Centre supplies water from it's Geonkhali Water Supply Project. Storm water drains in whole stretch of the Growth Centre is available. 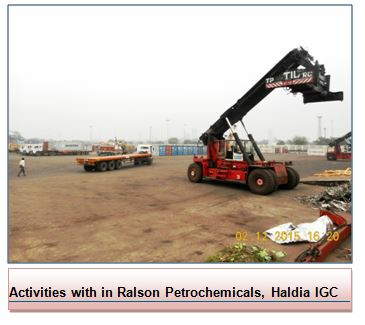 Ralson Petrochemicals Ltd -Container Freight Station. Raw materials as well as finished product of the industries move by road, rail and sea for industrial units.